Continuing south from El Jem, we were headed to Sfax. Our Lonely Planet indicated that the bus station was right outside the train station, but, well, it wasn’t there. It didn’t really exist – one simply has to stop on the road and wait for the bus. There is no “bus stop” and no timetable, and the locals seemed pretty shaky on the times. In retrospect, we should have taken a louage (communal taxi) south, but we didn’t know the wonders of the louage system this early on in our trip. So after an hour of waiting in the cold with sand whipping around us, the bus finally came. 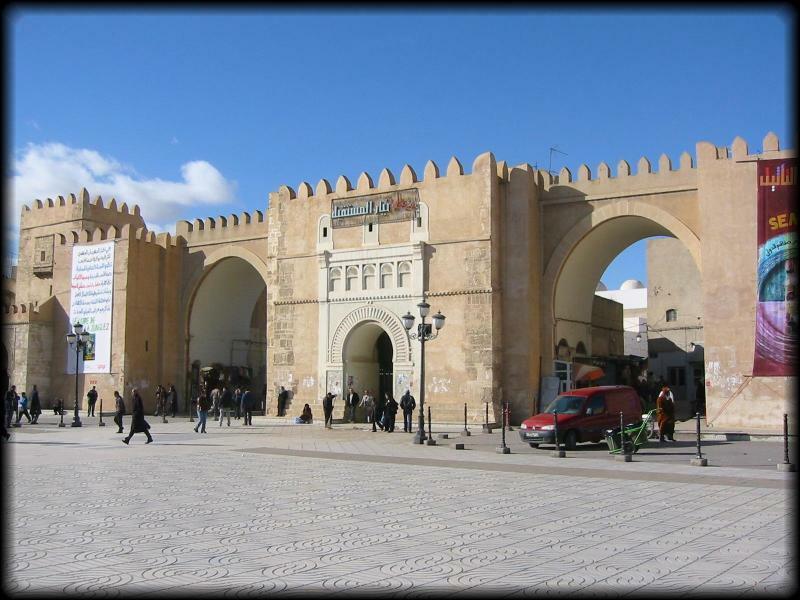 Sfax is a big city that is not on the normal backpacker route, but we were interested by the authentic medina – there are no tourists here. The bus had dropped us off at the wrong end of the city, but a cheap cab ride took us to the train station, where we dropped off our bags in the lockers and headed towards the medina, which is just 5 minutes away from the train station. It was a relaxing stroll through the medina. We saw some craftsmen at work, bought a shi-sha (water pipe), and visited the Dar Jellouli Museum, which is a house built by a wealthy merchant in the 17th century, and displays jewelry, and some painted glass. In Sfax, we weren’t hassled at all – I think a few people were surprised to see tourists, but it was an interesting view of Tunisian life. Of course, the downside to it being more authentic was that the stores were selling mostly modern useful goods, not handicrafts (yeah I know, probably made in China) that appeal to simple-minded tourists like us.